There are times I can see so much of my husband in Ethan. 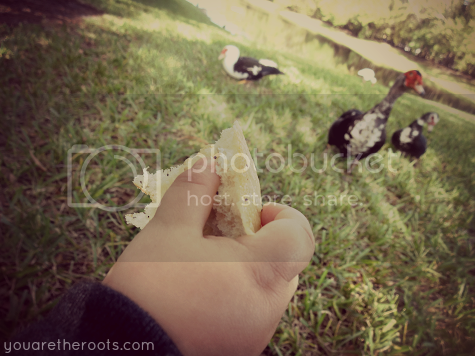 Just this afternoon, we were relaxing by a lake in between communities in our neighborhood, feeding the ducks stale bagels leftover from one of our Halloween celebrations. Ethan would take a bite from each bagel before handing them off to the ducks and I would smile because that, that right there, is so very much my husband. Then sometimes I see how sensitive he is, how gentle, the way he requires his hand to be in mine whenever he is nervous or unsure. I see myself in him then, in timidness and self-doubt, and I try to remember to do better as an example. To not speak of fear or anxiety or things that my mind tells me I cannot do. This is hard for me. I've often read about mothers trying to lead by example when it comes to teaching their young girls to know that beauty comes from within. They remain conscious and aware to not complain about needing foundation or looking terrible without make-up. Though maybe not identical, there's still that lead by example battle that I need to make myself better at, to be more aware of. I do struggle with questioning myself, with worrying until my stomach hurts, with over-analyzing and being timid and afraid. For the last two days, I've worried out loud about attending my husband's work dinner: what would I wear? What would I talk about? What do I know about the corporate world? Can I talk about diapers and nap time and the last time I've washed my hair? I need to stop. I need to teach my son confidence. I need to teach him that it's okay to be scared, but it takes strength to conquer your fears and work through your anxiety because who he is is awesome. I need to teach him that buckling under the pressure of mounting anxiety and worrying what everyone else will think is not a coping mechanism. It was a wake-up call for me this afternoon, another mommy fail under my belt and another promise to myself to do better. To exude confidence. To teach my son that he is incredible and what other people say holds no merit at all. 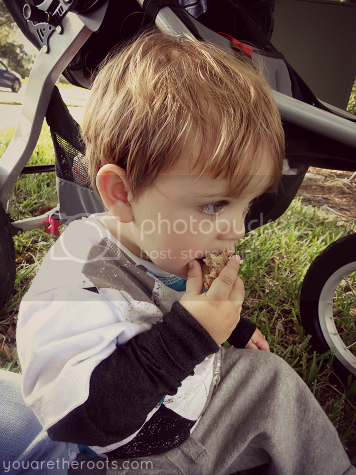 He is my superhero, running down the sidewalk in floppy 2T clothing, holding out pieces of stale bagels for the ducks and waterbirds. "HEEEEY!" 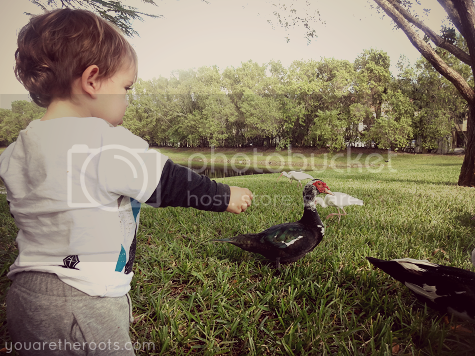 he calls to them -- his newest and favorite word -- falling to his knees in the grass, buckling from the laughter as the ducks quack quack quack at one another. 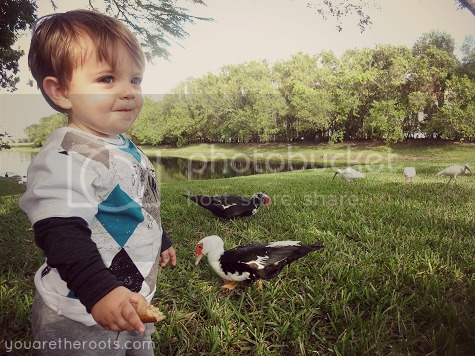 Of course, he will have those moments where a duck will swoop in and take the bagel from his hand a little too quickly for comfort. And it's okay to be scared. But my little superhero? He was right back out there, giving it another shot, braver than ever before. Those things that we think are weaknesses in ourselves, don't look so weak when we see them in our children. I think we learn to love and accept ourselves more when we're Moms. Because we love our children unconditionally, we learn to love ourselves, too. 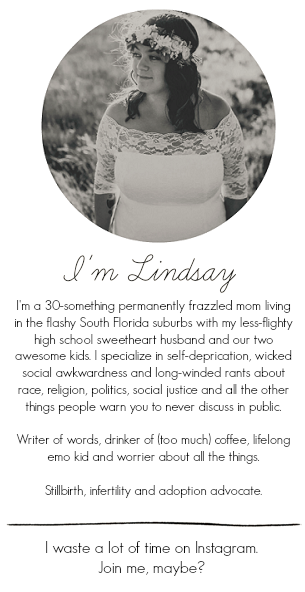 What a beautiful post, Lindsay. Ethan is blessed to have you for his Mommy. "Because we love our children unconditionally, we learn to love ourselves, too." So true, Lisa. Ethan has made me feel a million times more confident than I could ever have imagined feeling in the past. How sweet! 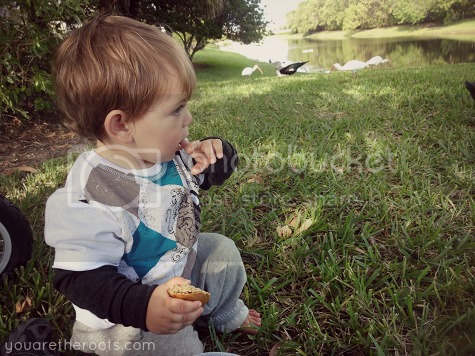 He looks so cute feeding those ducks. It's always weird to me seeing characteristics of myself in my kids. Scary most of the time, but good reminders! He is super cute, I am a new follower, found you through Find and Follow Friday, would love a follow back. so brave and such a cutie! even i am a little intimidated by ducks. they can sometimes be a little aggressive. 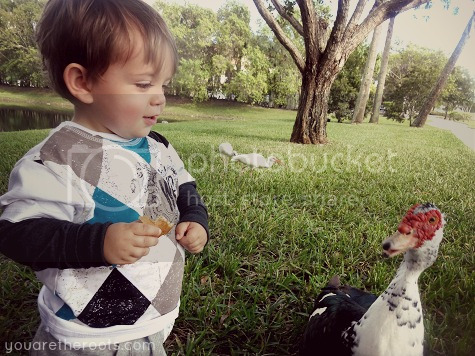 He LOVES animals! I'm still trying to find a way for him to appreciate nature without running up to any dog he comes across without him automatically being afraid. I haven't yet mastered how to do that! He is so sweet! I love that little hug picture! I know LK is still small, but I need to start being better about the self image stuff. Just today I was complaining to Brent about how a mom at my mom's group just looked so pretty and put together while I felt like a beast. I need to remember that boys need to learn about self image and respect too! See?! It's so easy to forget, isn't it? I am guilty of ALWAYS comparing myself to others, especially when somehow other moms find the time to look presentable and I've worn the same leggings for 4 consecutive days! 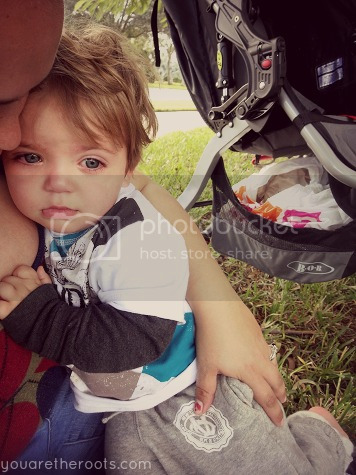 Oh my gosh, he's so precious, I love the pics and that he got right back in there!